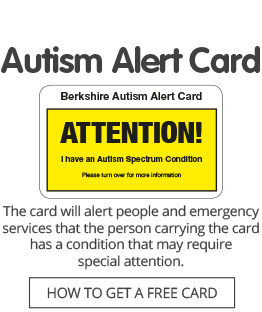 Joining Autism Berkshire as a member ensures that you receive the latest information about autism-related issues and services in Berkshire and helps to support people living with autism throughout the county. Standard membership costs £20 per year for an individual or a family, and is suitable for people with autism, parents or carers of people with autism, or any non-professional who wishes to support our work. Concessionary membership costs £10 per year, and is for students, pensioners and those whose only household income is from state benefits. If you are on a low income and the cost of standard membership is a barrier to joining us, you may also qualify. 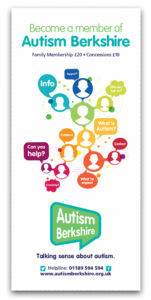 If you are unsure whether you qualify, please call 01189 594 594 or email contact@autismberkshire.org.uk. Professional membership costs £30 per year and is for professionals who support people on the autism spectrum and/or their families. Your organisation gets all the benefits listed above and you can bring up to nine colleagues to any of our training events for the professional member rate. When registering, we suggest that an individual is nominated to be the main contact and to receive mailings. However, it is possible to change the primary contact at a later date should an organisation wish to do so. Click here or on the thumbnail to download a copy of our leaflet. If you return you application by post, send it to 40 Caversham Road, Reading, RG1 7EB. If you decide to join us online, as well as paying the membership fee via Paypal, we would like you to let us know how we should contact you and what kinds of information you would like to receive from us. You can do this by completing our simple online contact details form – click here for the form. All the information you provide will be stored securely and will not be not shared with other organisations. You can boost the value of your membership to us by 25p of Gift Aid per £1. We reclaim the money from the tax you pay for the current tax year. To do this, select Yes for the Gift Aid option below. Please note that by selecting Yes, you are agreeing that if you pay less Income Tax or Capital Gains Tax than the amount of Gift Aid claimed, you are responsible for paying any difference. If you pay Income Tax at the higher rate and want to receive the additional tax relief due to you, you must include all Gift Aid donations on your Self-Assessment tax return or ask HM Revenue & Customs to adjust your tax code. Please note that if you subscribe using PayPal, subscriptions are renewed automatically, annually, until cancelled.